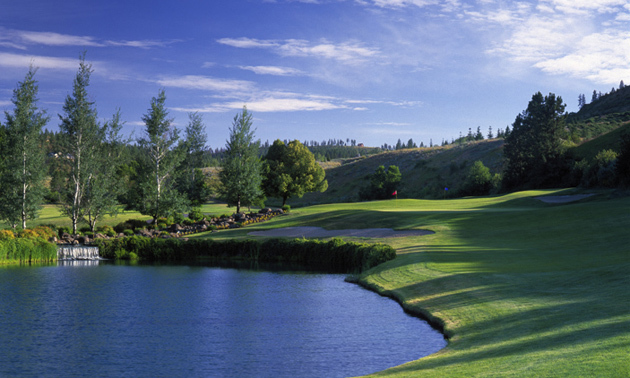 A par-72, 18-hole public championship course, Hangman Valley Golf Course spans 190 acres of the scenic Spokane County. Hangman Valley is a very peaceful place to golf, and you’ll have a chance to see much of the abundant wildlife that wanders out on the course. Youth participation in golf is highly encouraged at the 6800-yard course. Hangman Valley also has several reserved weekly tee times for local high school teams, as well as discounts for college golf teams. The signature hole on the course is Hole 11. The pond-bunker-green pattern isn’t the only challenge at Hangman Valley, though—Latah Creek comes into play on several holes on the course, as well.